It may be his first small-group recording, but veteran composer, educator and arranger Jeff Holmes isn’t exactly a late bloomer. The director of jazz and African-American music studies at the University of Massachusetts Amherst has written for the likes of John Abercrombie, Max Roach, Doc Severinsen and Yusef Lateef, a pedigree that explains the restraint, elegance and craftsmanship of this promising debut. 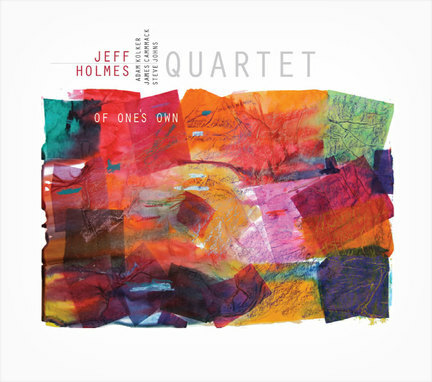 Holmes recruits erstwhile UMass cohort Adam Kolker on saxophones and bass clarinet, as well as bassist James Cammack and drummer Steve Johns, who bring a laidback approach to this pastoral collection of originals and standards. 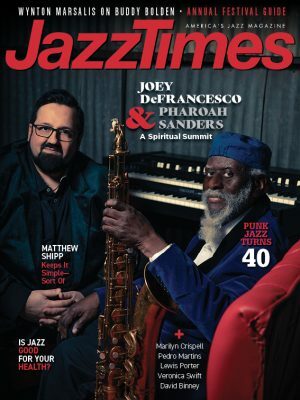 The leader, a pianist and trumpeter, sticks to tickling the ivories, and the album is more a showcase for his compositions and arrangements than his chops. right notes, sparing technical bravado for beautiful precision. Opener “Macaroons” and the title track have a soaring samba-rock feel reminiscent of Chick Corea’s seminal Three Quartets, with Kolker establishing a distinctive voice on tenor and soprano that, though not entirely unlike Michael Brecker’s, has a refreshingly bold sensitivity and lyricism. Closer “So Long, Farewell” nominates Holmes into the elite group of jazz musicians who’ve managed to make The Sound of Music truly swing.